Crop farmers in certain areas of the far north of Namibia got some new hope as isolated thunder showers started falling over some parts of the Omusati, Oshikoto, Ohangwena and Oshana regions over the last two days. Some areas in the Kavango regions and the Zambezi region also received some rain as did parts in the Khomas and Otjzondjupa regions. 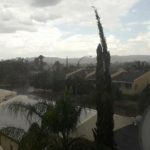 As much as 10 millimetres of rain have been reported at Okahandja and the Namibian Capital Windhoek. Some rain has even been forecast for the south western parts of Namibia in the Kharas Region because of a cold front from the South Pole that is moving past the southern tip of the African Continent at the moment. The cold front is expected to cause some rain over the southern parts of the Eastern and Western Cape. The weather forecast for Namibia predicts isolated thunder showers in the central, eastern, northern and north eastern parts all while extremely hot conditions will prevail during the day. Cool conditions are predicted for the coast in the morning with spots of mist over large parts. Light showers can be expected at the extreme south and northern parts of the coast line while mostly sunny conditions will prevail during the day. 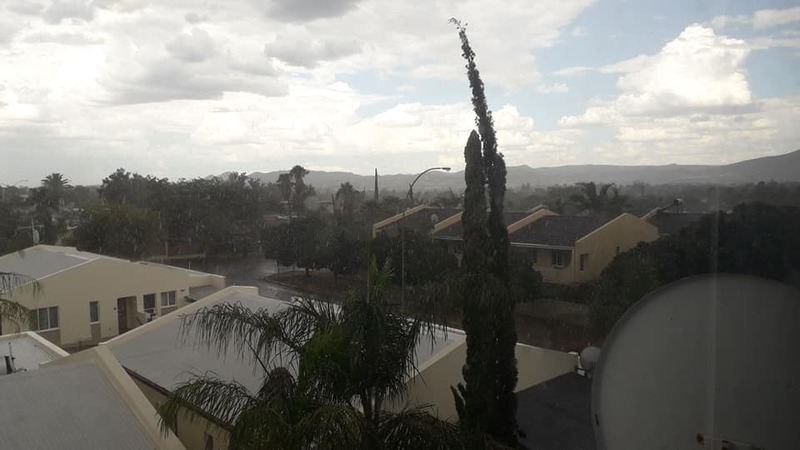 Pictured: The results of isolated thundershowers over places like Windhoek and Okahandja that fell over the past two days.